With inFamous finally finished this past week. I've now got some open space for other games waiting in line. Plus the games that were being played alongside it. Hmm, I think I will just solely focus on Baten Kaitos to get it done. Not hundred percent sure whether or not I will review it, but I will still being writing down notes. 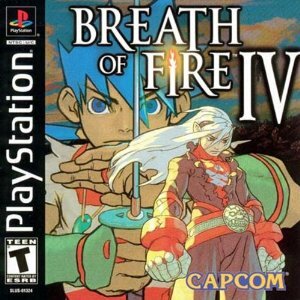 To add to that I did just get Breath of Fire IV as well and I'm greatly enjoying that. Anywho, I know what I'm currently playing this week. OOOOOOO, that's a nice lead in sentence!